Valves Online’s partnership with Bray Controls continues to go from strength to strength. Approvals, in both manual and actuated packages. Bray Controlshave developed a fully integrated and innovative product line becoming recognised as one of the premier manufacturers of manual and automated quarter turn butterfly valves; an international company with global operations in over 40 countries. 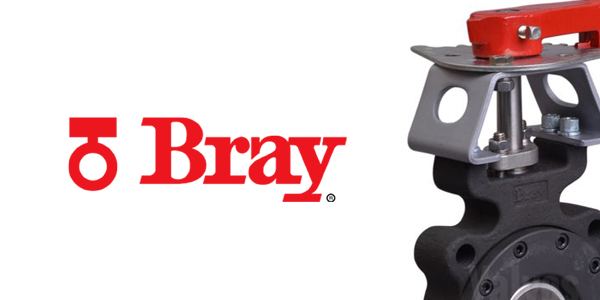 As a testament to their quality products, all Bray manufacturing facilities are independently certified to ISO 9001; with valve ranges featuring the required level of certification from industry leading, internationally recognized and respected bodies. Valves Online share the same vision as Bray pursuing growth through improved and expanded ranges of high quality products providing long lasting, efficient solutions to a customer’s process systems. The technical team at Valves Online would have to say that their standout product from the comprehensive Bray Controls range is the Series 40 Bray/McCannalok High Performance Double Offset Butterfly valve. Why? The Series 40 offers an impressive range of features and benefits, making it suitable to tackle duties where normally, a resilient seated butterfly valve would not operate easily. The pressure (up to 19.6 Bar) and temperature (up to 260°C) together with the zero leakage rating mean that you have the process capabilities of large and unwieldy gate and globe valves but with the shutoff capability of resilient seated butterfly valves. A Valves Online Customer received the contract for the renovation, repair and improvement of a Medium Temperature Hot Water Heating Systembeing used for district heating. Process temperatures and pressures of up to 180°C and 12 Bar and standard running conditions of 140°C and 6 Bar had meant that previously installed resilient seated butterfly valves with Viton Liners had experienced failure and leakage earl on during their life cycle. The end-user had specified that they needed a valve with a long life cycle that would be handle the duty without any issues yet not require any major changes to the pipework or distribution structures. All valves needed to be supplied complete with material and pressure testing certification. Double Offset Design allows the use of high performance seating technologies. The self-adjusting Seat design of the Bray/McCannalok Double offset valves features a resilient energizer completely isolated from line media by the RTFE Seat. Independently tested to Zero leakage bi-directional shutoff through over 100,000 cycles. Pressures up to 19.6 Bar (Class 150 Rated). Easy to actuate ISO5211 Mounting Pad meant that the control requirements and safety considerations of the system could be met. 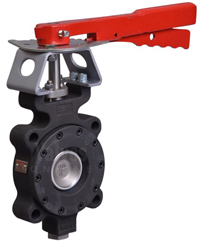 The design of the valve being a butterfly valve meant that the pipework would not need to be modified as it would should similarly rated Gate or Globe Valves be installed. The complete package of valves could be delivered within 10 days in sizes 2 ½” up to 12” with both manual, pneumatically actuated fail safe and electrically actuated valves all supplied. Positive material identification, an in-depth quality control system and traceability meant that all required documentation could be delivered with the valves. The valves have been in line and operational for over 2 years, 18 months longer than any previously installed resilient valves, and have required no maintenance since their install. Call the Valves Online technical team now with your process requirements on +44 (0)1822 855 600 or email us on sales@valvesonline.co.uk.